I can't get over how good our dives were at Twin Rocks in front of Planet Dive in Anilao. 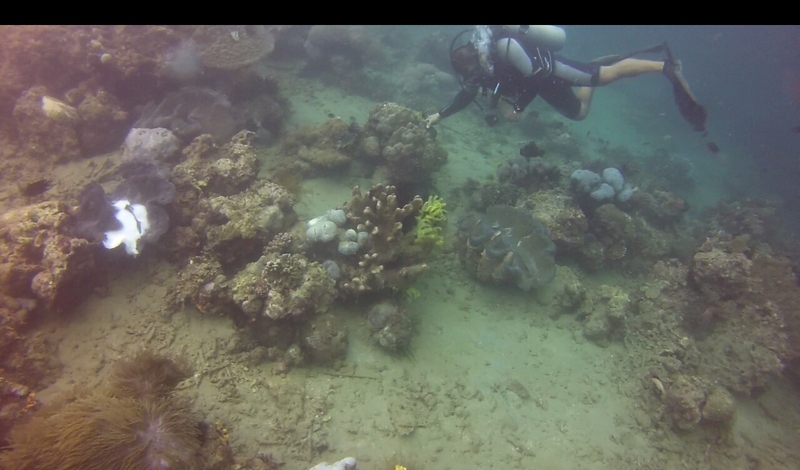 We did 2 dives and both were amazing. Before diving, we had a briefing and our dive guide told us what we can see and where we can expect to see them. He was joking that he will text the jacks and the turtles so they will show up when we descend. Oh gosh, show up they did as if choreographed! A school of possibly a thousand jacks were swimming where they were supposed to be. The turtles appeared right on cue. The Moray eels did the same. It was fantastic! The dives were very easy (15 meters max depth) and we saw a lot of things. The most memorable were the purple giant clams, nudibranches, moray eels, a school of jacks, a turtle, clown fishes, and a big lapu-lapu. The visibility that day was bad because the weather was cloudy but the corals and marine life at Twin Rocks fascinated me still. I want to go back when the weather is good. 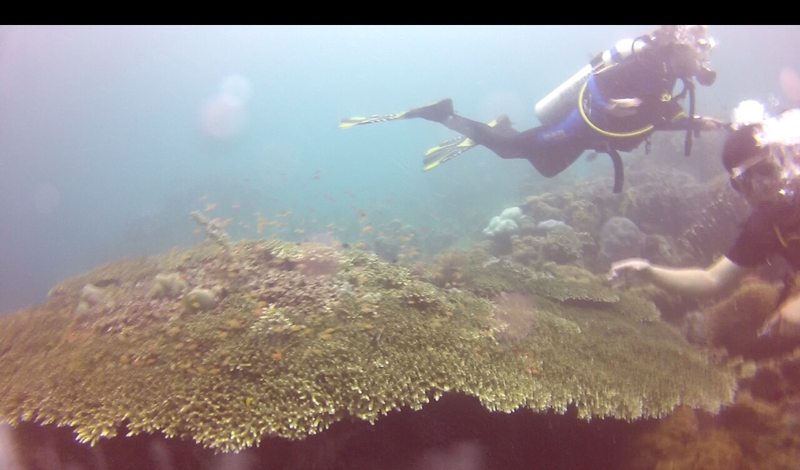 We paid about 1500 pesos for 2 dives in the house reef including lunch. We have our own gear so we didn't have to rent those. We just rented the tank. The lunch was good. I really like their adobo, yum yum. I didn't see the rooms but from the outside it looks okay. Pictures above were taken using GoPro Hero 2 with a Polar Pro red filter. Hey there Cat and Anselme! Xtina and I wish we were there diving with you. Someday we will make it to the Philippines. Be safe diving - go through all of your safety checks and keep track of your buddy. ... and have a blast! Great place, Under the sea are beautiful creatures.